HP is a multinational technology company, specialising in printers and PCs. Its events manager Jane Culcheth Beard says the Bribery Act and technology are key issues in her role. Culcheth Beard looks after six main agencies and each of her eight team members take care of three unique ones. She works with Jack Morton, WRG and Grass Roots, as well as specialist agencies including Ball Associates. 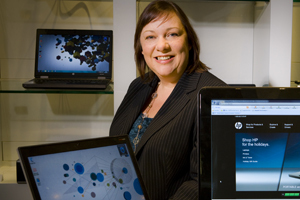 Her remit includes HP's global CIO summit series in the Americas and Europe. These include a conversation session with HP's directors worldwide. She also handles HP Discover's European leg, which this year took place in Vienna for 7,000 delegates.